This is my 1st time posting a comment but I just love your blog. You totally inspire me PastaQueen! Not only are you funny but the way you describe things is just so good and accurate and is EXACTLY how I feel at times. Just obsessing about sugar and it happens literally the moment I put my fork down after my dinner. So frustrating!! I got home, ate a healthy dinner, but before long, I tore into the chocolate and finished it off. After I ate it, I thought…wow, this is my heroin! I waver, too. My behavior the other day leads me to think I have a food addiction when it comes to chocolate. However, there are times when I don’t go quite so crazy. Otherwise, I think I’d weigh half a ton! I gave up sweets and desserts for Lent this year and it was so freeing. The demons didn’t haunt me. I might have to pretend it’s Lent every day of the year! Thanks for another great post, PQ! I stopped in for some support this morning and you delivered. Lately, I have been totally obsessed with sugar/crunchy foods. And it is never enough – I, too, would have been crawling out of my skin waiting for dessert. After losing 80+ pounds in the last 2 years and totally improving my fitness level, I really really thought I had the “demons” beat. Maybe it’s the incredibly long winter we’ve had in No. VT – I don’t know. But I don’t feel so alone right now with my struggle to get back on track. Thanks so much! I think addiction might not be the right word– fixated– mildly obsessed….whatever that next good thing might be. Once I decide I WANT something, nothing stops me from getting it. It has nothing to do with the fact that it’s food. It has to do with how I manage my own emotional connection to getting what I want. Food is easy because you can get it much easier, than, say a BMW…but the obsessive nature of getting what you want is the same. That’s my version of armchair psychology, anyway. Thoughtful analysis, PQ, and hilarious as well. This post makes me realize I need to do some more reading and introspection about addiction “vs.” compulsion. I have wondered about this myself, but have come to the conclusion that ‘food addictions’ cannot be seen like other addictions because where as the primary goal for beating substance addictions is abstinence, with food it is often attempted abstinence (dieting/eating disorders/ the idea of ‘good’ and ‘bad’ foods) that causes the loss of control. I think Dr Christopher Fairburn has a pretty interesting take on this in ‘overcoming binge eating’. However this; http://www.bellwood.ca/PDF/Is%20an%20Eating%20Disorder%20an%20Addiction%20to%20Food.pdf reiterates the same thing. Although it refers especially to eating disorders, I think it applies to the regular dieter, or even just the average ‘modern woman’ who is a bit concerned about her weight. I, personally, have decreased my sugar/carb cravings a lot by allowing them into my diet, and acknowledging that sometimes it’s alright to eat a few too many cookies/pieces of bread/cereal (you know the rest right!). This is an EXCELLENT post! Love it. Just wanted to stop by and say that you are amazing. But you probably hear that often. I have used your progress for inspiration many, many times in the past year and a half or so. Thanks!!! Great post! First time commenter here. You mentioned so many points that I was nodding my head to. I completely agree about not being able to keep a box of cookies without eating them until I get sick. I totally agree about grazing at the buffet table. And, scary as it is, I agree with looking forward to the next course like some maniac. I also look forward to meals either if I am having one alone or with a group of friends – I look forward to the FOOD. It’s not completely a lack of self-discipline, though it is certainly there for all of us. But here are a couple of things I thought about. It’s hormonal. Feeling crummy by eating less is a hormonal reaction. I don’t know how to deal with it, per se, but it’s comforting to know that it’s not just a lack of discipline. I’ve never had much of a sugar problem – sweets really don’t do it for me (except for chocolate chip cookies & Thin Mints). however, back in November, I fell down the stairs & went from working out 5-6 days a week to nothing. And all of a sudden I couldn’t stop eating sugar. I craved it. I dreamed about it. I started hiding how much I was eating. It was INSANE! I was talking to someone about it & they said, “Hey, didn’t you just stop running? And now you’re eating sugar? Running & sugar trigger similar brain chemicals, so maybe you’re just looking for the runner’s high…” And that made sense. And helped me deal. But – I think you’re right about most people wanting the dessert if it’s there. I often take dessert even though I know I won’t like it – just because it’s there & it looks good. As a Girl Scout Leader for 8 years now, if you are going to buy a box go with the Samoas, there are less in a box lol. I totally get your saying with the food addiction stuff too. I’d hate to say I’m an addict, but yesterday I was looking everywhere for some chocolate and found some and ate all that I found. TG the Easter candy is finally gone! I know not to buy candy because I just can’t control myself. 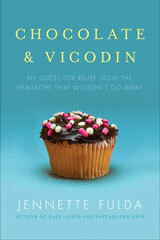 Food addiction is a very interesting topic and something I’ve done a bit of reading on. There are those who believe some people’s bodies react to white sugar/white flour the way an alcoholic’s body reacts to alcohol. Once they are in your system you crave more and more. They believe that you must cut these things out COMPLETELY to overcome your food addiction/compulsive eating. I differ in that I believe once my body is in check (i.e. I’ve got a consistent pattern of healthy, low-GI eating), I can have the occasional roll or dessert treat. But when I’m not following any sort of eating plan, the more I eat of it the more I crave. I get that they believe you must cut it out completely in order to conquer the food addiction. Just as an alcoholic can’t ever just have one drink, if you are addicted to flour/sugar you can’t have just one roll. And I know people who are in this category and have lost significant amounts of weight following this lifestyle. They also plan on following this for the rest of their lives, just as an alcoholic would. That is what tells me that I am not in this category. After Easter I got back on my low-GI (for me it’s South Beach) eating plan. I’ve been really good and feel significantly better without all the processed stuff in me. Yesterday I attended a luncheon for work and was served a piece of bread. I was able to eat that one piece and not go crazy. I wasn’t flagging the waiter down for another, nor did I want to. I definitely felt the effects of it on my body (it makes me sleepy…just like coming down from a sugar high) but there was no crazy obsession. Sorry — I’ve rambled on. Just wanted to add my thoughts on this fascinating topic. Thanks, as always, PQ, for being so inspirational!! Hey PQ, great post (as usual). I was thinking about this last night when I was baking cookies for my bf and had the compulsion to taste the batter and thought what is wrong with me? ?- it’s sugar, butter, raw egg and a little raw flour. Sounds just awful when I really think about it. Then again as the cookies cooled, I was struck with the notion of eating ALL of them. Even though they were for my bf, even though I had one and wasn’t hungry or particularly craving them. I think humans (like animals)are hardwired to want to eat when food it is available, as much as is available, because evolutionarily speaking, we never knew when our next meal would come along. More than “addiction”, I think that’s what’s motivating these feelings. Perhaps you never noticed it until now because you weren’t conscious of what you ate before you started this journey. As for why sugar is more appealing, I like to think of it as the “scarcity factor”. The less likely the food substance to reappear in the future, the more likely your brain starts going crazy to stock-pile it when available. I’d imagine that you didn’t overeat the meal because it was comprised of meats, grains and veggies. All things you eat in one form or another everyday. When watching your weight, sweets are rare indulgence for most people. A very thoughtful take on this subject. There are a lot of addictions within my extended family tree (opiates, alcohol, food) but I would say that the biggest common thread is not the craving behavior, but rather the impulse to use the substance to ignore feelings. Even without being an “emotional eater” there is an element of comforting routine and giving in to status quo by eating too much food or grazing on treats just because they are nearby (or, for that matter, continuing to down handfuls of pills or beers at noon because there’s nothing better to do). As hard as it is to separate out “what am I feeling” when I’m hungry, and as useless as it usually is to stop the craving, it’s satisfying to at least try to look at the emotions behind it. I know you’ve written about that before, especially in conjunction with binge behavior, but I think it’s always worth exploring. I am the same exact way with sweets at any party, get together, or even at home. At home I try to keep low calorie sweets. Out and about my husband is good at helping keep me on track…even though I roll my eyes at him when he does it…he knows he’ll have to hear about it for 2 weeks if I gain and don’t lose! Long time reader, but not sure if I’ve posted before – – had to say that you hit the nail on the head this morning. Your posts are always to insightful and lots of fun to read. I’m still working my way through the archives…… Thanks for all your inspiration! My name is Andrew and I’m a sugaraholic. I’ve been sugarfree for 6 days now. I am totally addicted to food. I have known this for years. I have never smoked or I think Id be addicted to that too. I have an addictive personality. Good one. Isn’t it interesting how those insights just keep on coming? For me, some insights seem elusive. I get it, then I don’t even realize it escaped until I get it Again. Maybe what you’re describing is a little bit like what happens when you tell yourself, or someone tells you, to not think about a particular something. What happens? Sometimes, all you can think about is that something you’re not supposed to think about. I think you’ve been telling yourself to generally ignore the cheescakes in the room for a very long time, and you’ve sooooo good at it. Maybe there’s some fatigue there, or you’ve got to figure out how to release that valve without unleashing all the water in the reservoir? Maybe the switch is twitchy, b/c it’s newish and super-sensitive and needs calibration, or maybe it’s rusty from lack of use. Maybe you just need more practice at turning the switches off and back on? (Sorry to psycholanalyze there, and for the metaphor abuse). I can’t describe myself as a food addict. A compulsive eater, yeah, but not a food ADDICT. I’m not going to get the DTs if I don’t eat cherry cheesecake (mmmmm, cherry cheescake). My issues are the result of a cognitive disconnect combined with sensitivities to particular food triggers. There may be a biophysical component to it, but sating that need is not a biophysical imperative. I’ve been reading your blog for a short while, now. Brava to you for your journey and your brutal honesty! I applaud you. In my case, it wasn’t food addiction – it was Binge Eating Disorder. Some believe that BED has been misdiagnosed for years as food addiction. Of course, that’s not going to be the case all the time, but in my case, it wasn’t addiction – it was an eating disorder. I was like a raving lunatic about food at one time, too, blind and numb to the sensations and the consequences. At my heaviest, I was 330.5 pounds. I do believe addiction to food is a very real condition, but BED is another cause for that kind of crazed frenzy, too. I always love your posts :) It’s no wonder you always have a thousand comments per post. Only wish my life could be so interesting! FYI – a mint Skinny Cow tastes just like Thin Mints. Yum! OMG, that is my line of thinking whenever I’m at a holiday/special dinner. “When does the buffet line start? How will I fit everthing on my plate? Geez, I’m so stuffed…When will they serve dessert?” And even when it’s just a normal day it doesn’t seem to take more than 10 minutes after eating that I start to think about the next meal. i am a recovering alcoholic, 7 years sober. Gotta tell you… the food cravings i experience and the ‘trigger’ that can be set off by sugar (who am i kidding… is ALWAYS set off) is incredibly similar to my experience with alcohol. I first recognized it when i was a couple months sober and walking by a plate of cookies in an AA meeting. I remember thinking “i dont want a cookiei dont want a cookiei dont want a cookiei dont want a cookie” and the next hting i knew i was eating the cookies!! The same thing happened to me at a wedding (with alcohol) when i was bottoming out. This is probably why they had the old saying back in the 1940’s…”Candy’s dandy but liquor’s quicker!” Not much difference when it comes right down to it. In 2004 I ordered two boxes of Tagalongs and ate both boxes (well, a box and a half, my co-worker at a whole box as well then we shared the third box). They were delish!! Last year I ordered my Tagalongs and they tasted OK, but not like I remembered. They took the trans fat out of them and altered the taste. I actually threw out the remaining cookies about six months later. At least the Girl Scouts are doing their share in helping me lose weight. I didn’t buy any this year and plan on never buying them again. First time commenter as well. . .funny how life works isn’t it. I just ate a whole sleeve of thin mints (blech I feel gross now) and the whole time I was doing it I kept wishing I could stop after 2 cookies. Now I wish I could hold on to how disgusting I feel right this minute when I start eating to encourage me to only eat 2. Love your blog. . .
Sobering. Another perspective on how we all struggle. PQ – This post was hilarious – you nailed it. Those cute little Girl Scouts accost me going in and out of the grocery store to buy their crack cookies. I lie now, tell them I am diabetic and keep walking. First time poster here, found you googling something or other and ended up here, read through your archives and man oh man, what an amazing journey you’ve been on! I’ve dropped 70 lbs in the last year and 3 months myself, and I wanted to thank you – I never thought I could be a runner but your blog inspired me to get out and try – I’m up to 1 1/4 mile without stopping! Thanks a million pasta queen! So to contribute to the topic at hand, I totally feel ya about the compulsion. Tracking my food intake at sparkpeople is the only thing that keeps me from going off the map somedays. Having to own up to everything I put in my mouth and seeing hard and fast numbers makes those french fry cravings go away real quick…so now I really have to plan what I eat. Since that mentally clicked, I now almost want to get the eating part over with so I can concentrate on something else for the rest of the time. I just don’t do well with ye olde buffet table or the grazing all day. I end up eating WAY more than if I just grab a plate, eat it, and then ignore the rest of the night. 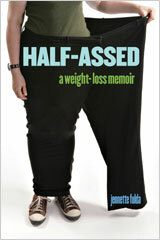 So, in summary, yes, I think those of us with weight problems (or past weight problems) have to view food differently. Maybe it’s just in the short term until it really and truly becomes a way of life to eat the way we do now. None of my friends have the compulsion to plan what they eat so thoroughly as I do. None of my friends exercise for an hour a day (I call it my “hobby” and they think I’m strange). Oddly enough, two of my closest friends have lost a good amount of weight (one by just giving up beer for liquor, and being around us a lot means more healthy food and less fast food – and yes, he’s a guy), one just seems to forget to eat a lot (and eats really slowly when she does) and walk her dogs a couple times a day. I wish I could be like that, but I can’t, and it’s my cross to bear. I’d rather track my food and weigh daily for the rest of my life than be fat again so it’s all about priorities. Heh, I’m rambling. Great blog and keep it up! The label “food addict” is a rhetorical choice, not a quantifiable reality. One either chooses that label because it is helful, or rejects it because it is not. I label myself a food addict because the label helps me. I wouldn’t whore myself for sugar, I don’t eat myself into a coma, I don’t lie about food or hoard it or hide it, nor do I engage in any other “classic” addictive behaviors. But certain “trigger foods” (sugar, bread and pasta) tend to make me eat a little too much. I am never truly “out of control,” but when I eat trigger foods, I eat more than I need to. So, I label myself a “food addict” because it gives me freedom. I just say, “I can’t handle those trigger foods.” I avoid them, and I don’t have to struggle with them. At least for today. The struggle you describe (“Is it time for dessert? Can we have dessert now?” “I need to go back to the table and get another/different dessert until I’ve sampled them all”) is EXACTLY the kind of behavior that those foods trigger in me. But the label “food addict” isn’t a useful one for you because you’re willing to deal with the struggle. It’s mentally (and physically) challenging for you to eat those foods occasionally and still maintain your healthy weight, but the challenge is worth it for you. For me, the pleasure of those foods just isn’t worth the wrestle. PQ – Thanks, victoria! That was a really insightful comment. It’s interesting to think about how language shapes the way we think. I’ve heard that in Japan the word for “different” is also the word for “wrong.” How’s that for a mind trip? Hey Jeanette! Long time reader, lurker, only occassional snarker here to report that you were staring out at me from the front page of my lifestyle section today. Oops, and you were a teaser photo on page one, in your pant leg! Lawrence, Mass. Eagle-Tribune, FYI. Pay the publicist this week. Something I recently noticed in my own weight loss struggle is that certain familiar situations — even ones I haven’t found myself in for years — trigger cravings. This may be what happened to you. I don’t know if it’s an addiction, but I do think some of us are simply predisposed to think and react this way to food! Hilarious post! I don’t think it’s a matter of what someone would do to score the food that makes them a food addict but what the food does to them. For instance, I grew up and my Dad was really sick so family members way of helping out was to always take me and my sisters to dinner. I know I think of food as comfort and something that will numb out feelings just like an alcoholic might sit with a drink or a drug addict might snort something. Oy! And those people that just push food around there plate like it’s no big? Hate ’em! Girl Scout cookies are mass produced and have the same conglomeration of processed ingredients as the cookies at the grocery. So what is the magic? I have found I cannot totally give up any food or food category, and I can lose weight this way. There’s a wonderful little restaurant in Milltown Indiana, Blue River Cafe, and the chef makes homemade desserts like a perfect chocolate ganache. I eat there at least once a year, and look forward to eating every bite of the dessert. Sometimes I think skills to lose weight are like a character from a book, Turnaround Norman. He had the ability to turn once around in a circle – over a 24 hour period moving at a consistent rate of motion. Sounds so easy, turning in a circle. Sounds so easy, eating right for my body. PQ – Girl Scout cookies only come out once a year, that’s why they’re special. They’re like Cadbury Eggs or Peeps or movies from the Walt Disney vault. The limited availability makes them more attractive. It’s so interesting that you brought this up because I too have doubted the general existence of food addiction. After all, we need food, right? It’s as crazy as suggesting water addiction. But then I thought, what do I know? Maybe SOME people have food addiction, and I just don’t. There are times when I can’t stop thinking about food, but then, like you, there are other times when I’m just fine around food. I was part of a weight loss forum with Kmart and I noticed many people were quick to say they have an addiction. It’s as if it makes overeating official somehow. Anyway, I will have to check out that book. I wonder if all of us fat people have thought “I wish I had diabetes” etc in order to stop themselves from indulging in sugary goodnesses! I remember thinking that myself when I was only like thirteen… Even then I could recognize my addiction but could not control it. Ummmm so is that picture on the main page of you? I cannot open a package of cookies without eating them all. Only in extreme circumstances will I bring cookies and sweets home. I’ve hidden a box of thin mint cookies in the freezer before and forgotten about it…only to discover it 6 months later and completely devour it. Sigh.